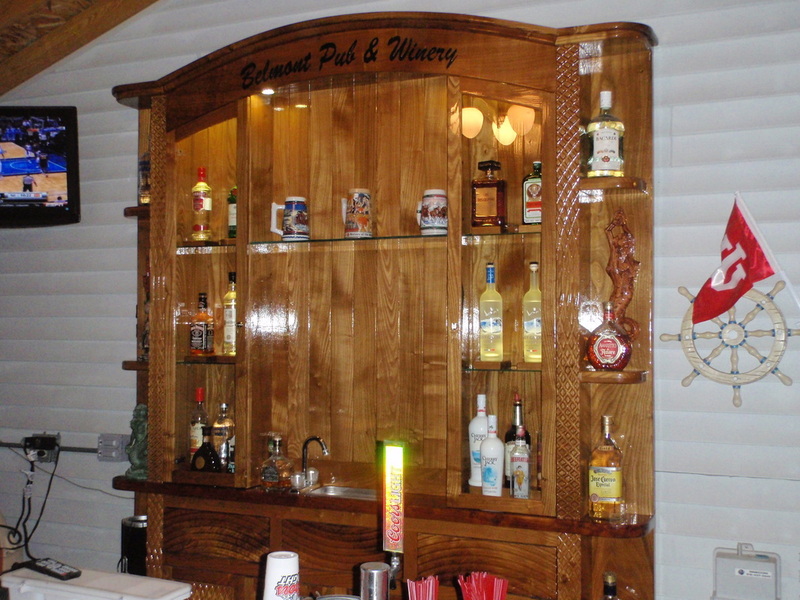 You will notice that this particular bar has a laser etching at the top with the words "Belmont Pub & Winery". 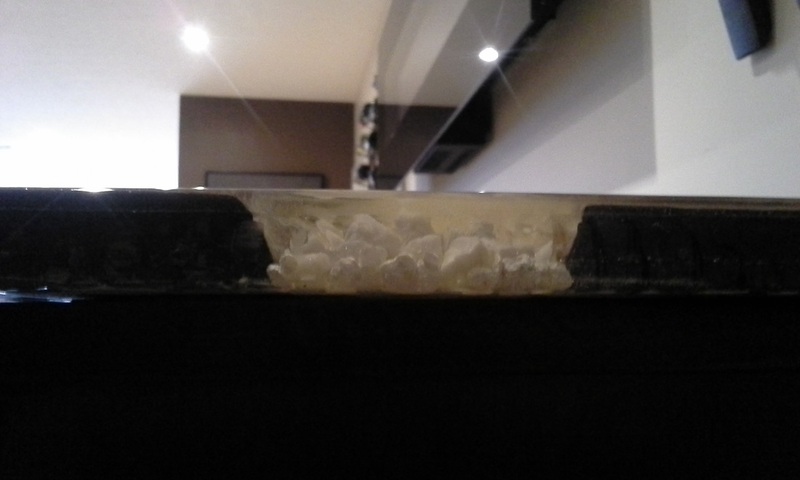 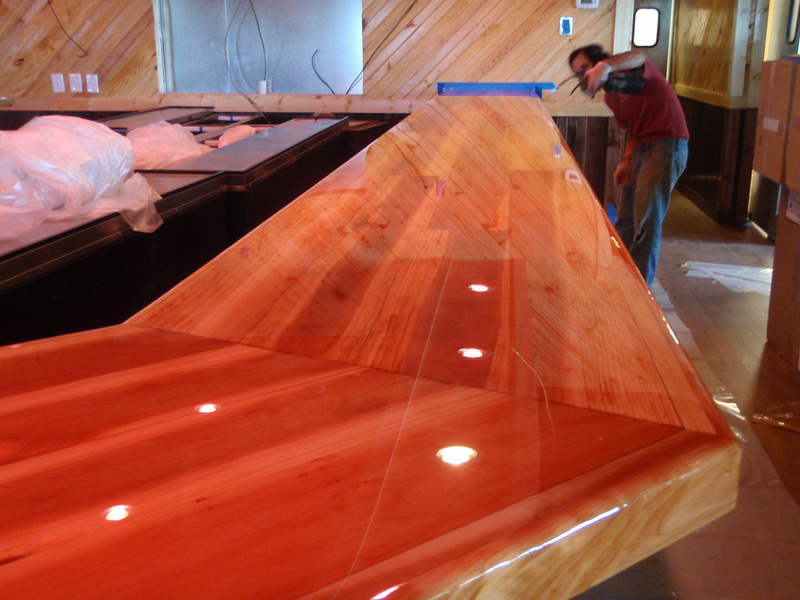 Here is a clearer view of the bar bottom. 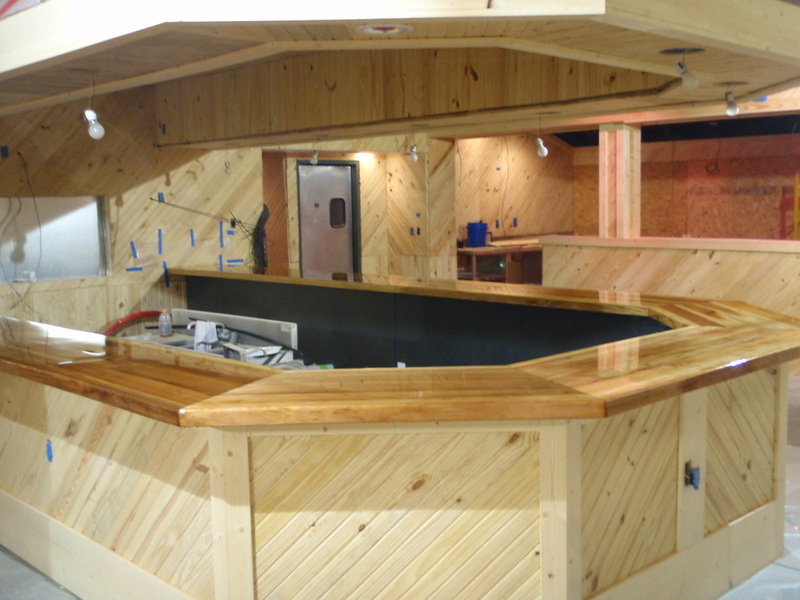 Notice the curves and lines carved into the wood. 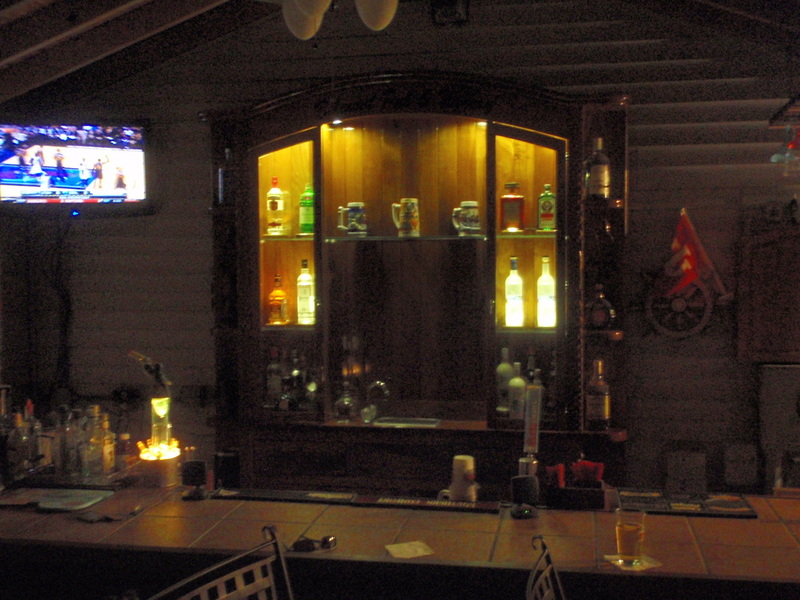 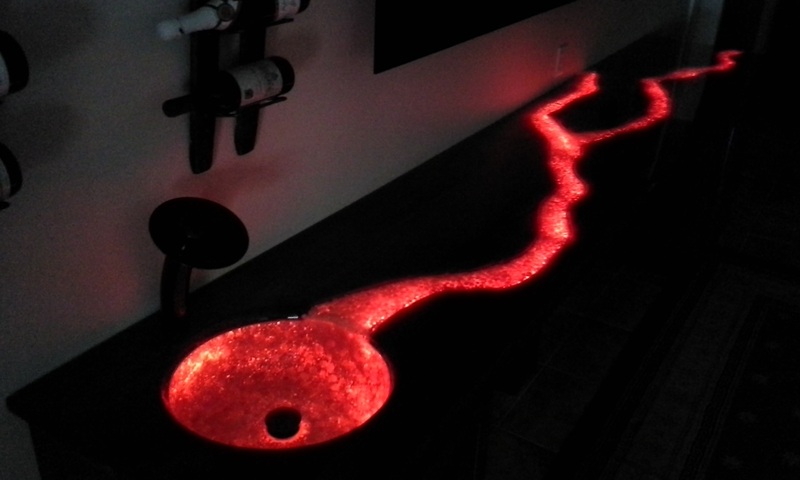 With the installed lighting, it illuminates the bar when the sun goes down. 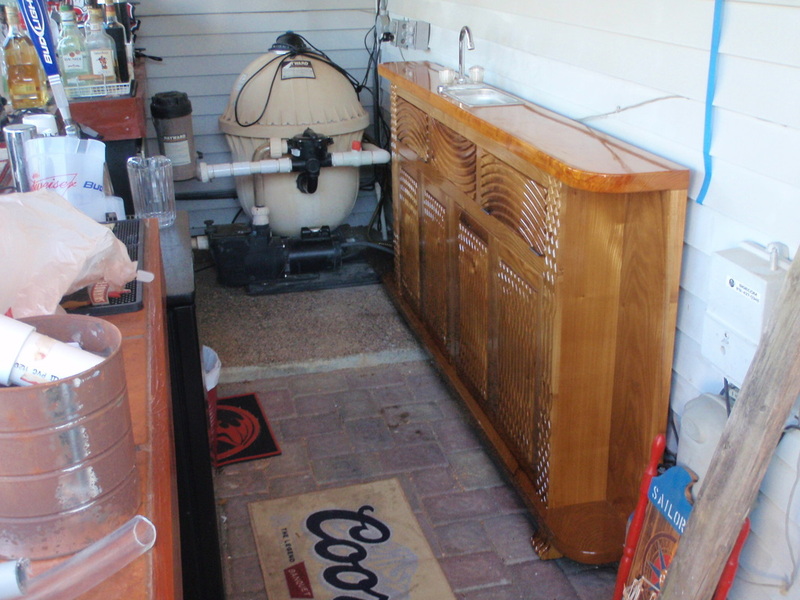 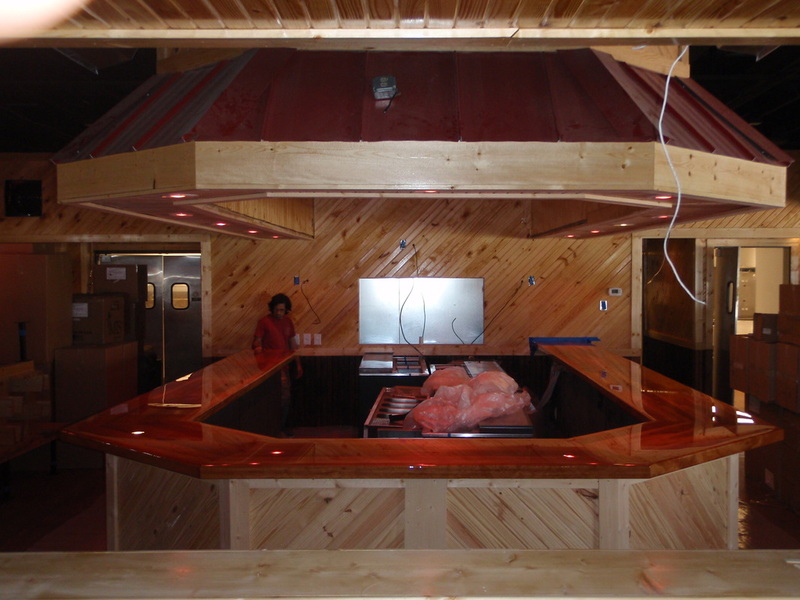 Indoor custom bar and top made for Rooster's. 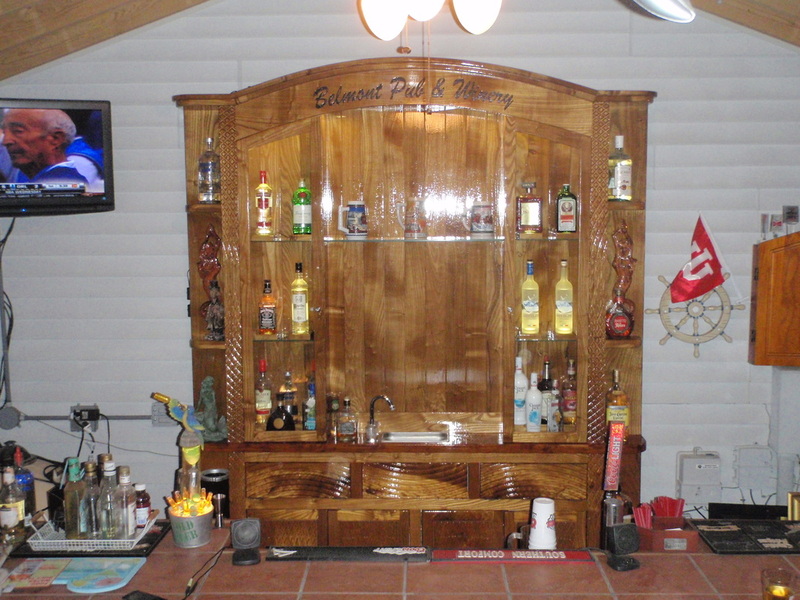 Another custom bar made for a home. 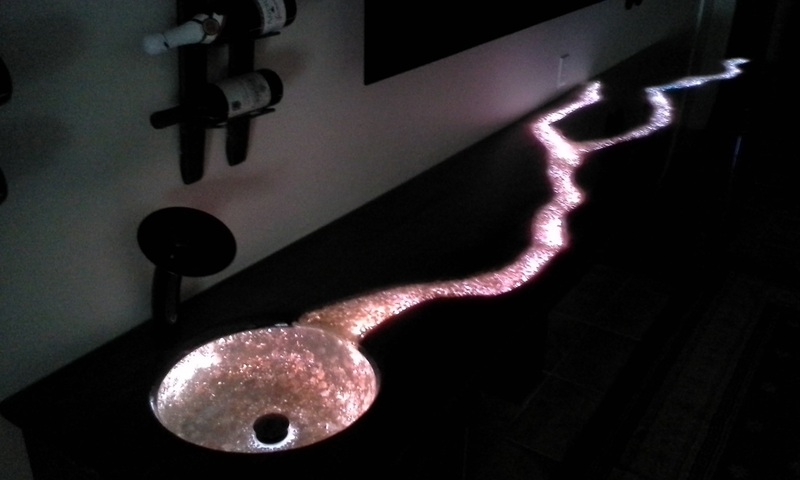 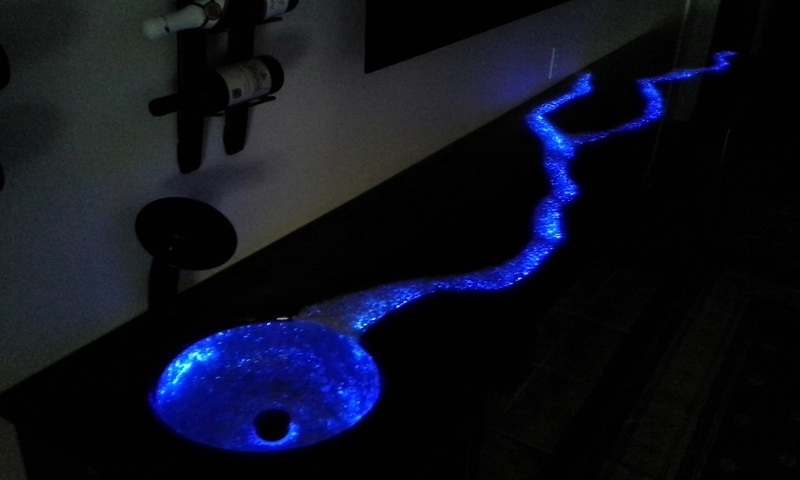 This particular bar not only copies the river that flows in the back of the home but can change colors! 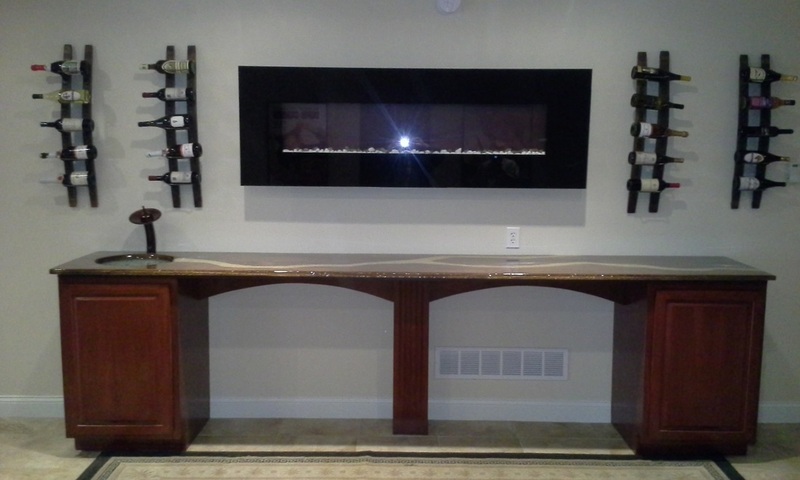 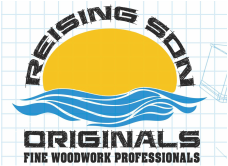 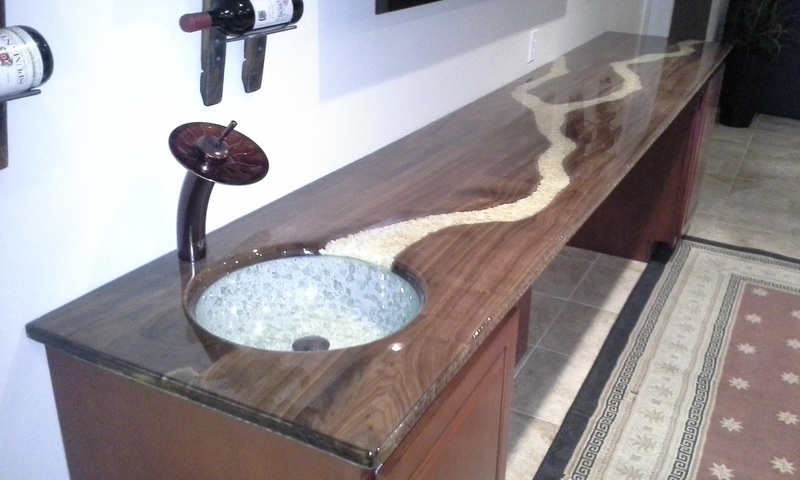 Built in Walnut with 1/4" epoxy on top and rocks adding depth to the river, it is definitely a beautiful piece.